Here's a recipe that will wake up all the taste buds. It's not very sour though, depends on how well the peels are cooked. Wonderful with steaming hot rice and some Papad as side. Heat Oil in a kadai and tamper mustard seeds, add the chopped orange peels and fry for a minute. Pour Water and allow it to boil. While its boiling, add Turmeric Powder, Fenugreek Powder, Asafoetida Powder, Tamarind Concentrate, Curry Leaves and Salt. When the Peels are cooked completely add the ground masala. Let the content boil for few more minutes until the gravy thickens and the masala is well infused. Serve hot with Rice. Enjoy with Papads. Oh,Deepa told about this Orange peel Gojju, and she said she would give me the recipe! !There it is! !Very new to me and I am dying to try.I have two Oranges left,I will try this.Thanks. Sangeeta: Yes, its very interesting. After I learnt this recipe from my m-i-l, I have been doing this gojju. Wonderful taste. But for few, they might have to develop the taste. Asha: Do try and let me know if you liked it. You can in fact use orange peels in the regular gojju recipe. Hi Mythreyee, a very new gojju to try. can we use any orange peel or some particular orange? I loved the idea. And belated Sri Rama Navami!! I used California Oranges. I think the taste will be the same with any variety. The Oranges I used were very sweet. Mythreyee - I've heard about it but never tasted it. Now I can :) thanks for sharing the recipe. I will try this soon. How come there is no Mentha included while doing Kodju? Chennai sister PK. 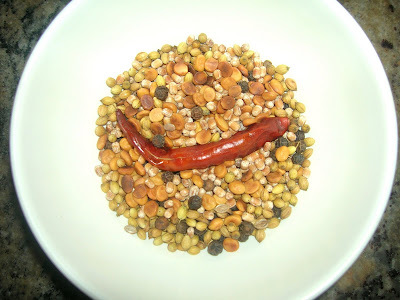 Hi PK, I have included Mentha as Roasted Ground Fenugreek Seeds. But, I did not add while I did this Gojju. So, I specified it as optional. 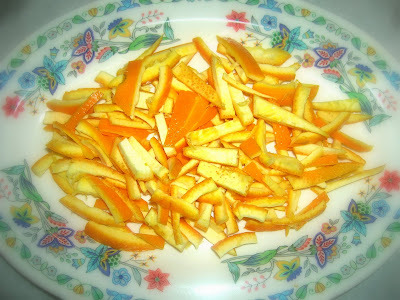 I remember my MIL mentioning to me that she doesn't even waste the orange peels and used it to make some kind of gojju. Now I know what she was talking about. I bet the flavor of the peels will give this gojju an extra kick isn't it. Thanx for the recipe. My mother prepares this Gojju. It tastes like hot and sweet sauce. Thanks for sharing. Very novel recipe. Never heard before. I have some orange in the fridge, will try this, Thanks for sharing! Seema: Yes, my MIL does it too. This is my version. I need to see how my MIL does when I visit India. I have to try the real authentic recipe and will post that soon. Ask your MIL for her version and if you do, please share with us. 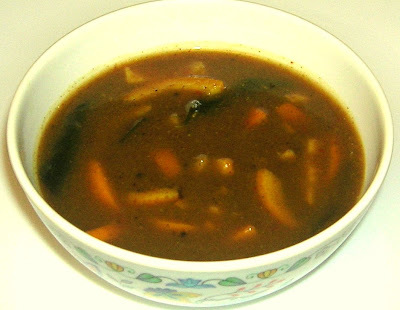 Menu Today: Yes, it is a hot and sweet and tangy gravy. 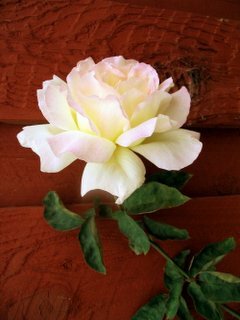 Sneha: Pls do try and let me know if you liked it. Thanks.